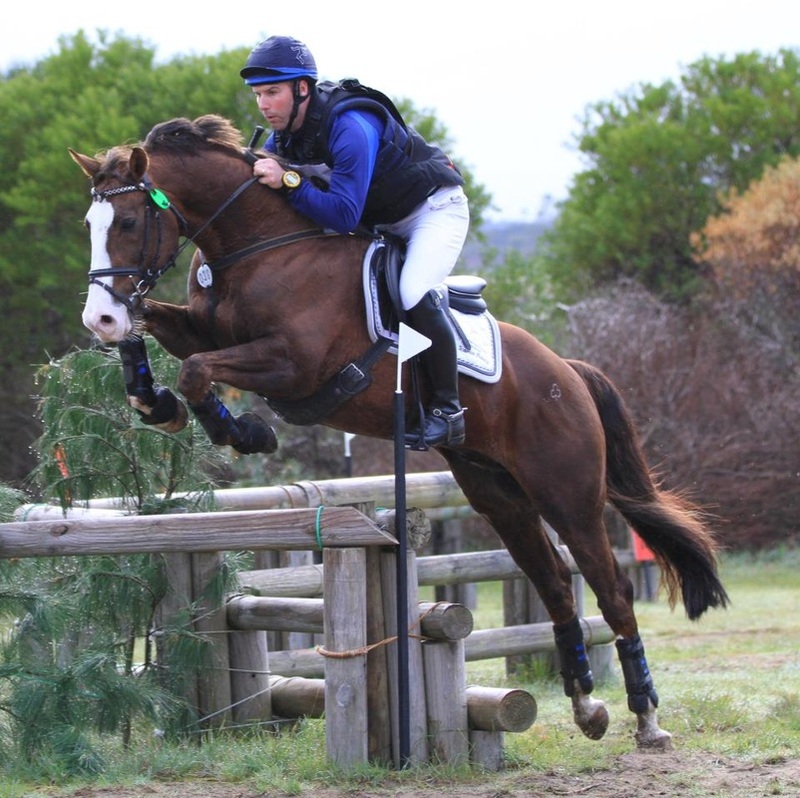 Icarus Jake has been sold to an eventing/ARC home near Bendigo, Vic. Jake's dam was an Icarus bred mare named Icarus Orla, sold to SA in 2013 when Jake was weaned. Jake's sire is Icarus Frosty, and Jake is probably one of Frosty's tallest progeny at 17hh and still growing. We wish Jake's owners all the best with him in the future. Icarus Eilish one of our homebred, purebred Irish Draughts has been sold to a new home in central NSW. She goes to her new home in foal to Icarus Frosty, very exciting for her new owners. Melbourne 2015 Summer Royal scoop! Icarus Park Stud had a very successful Summer Royal show this year, winning the top led prize and the top ridden prize. Our yearling colt, Icarus Jolly James (sire - Icarus Frosty and dam - Icarus Cordelia) won Junior Champion Led Irish Sport Horse, then went on to beat all the other older and younger horses for the Supreme Led Irish Sport Horse Exhibit. We were very pleased with him as this was his first show ever! Judge, David Quick a Warmblood breeder said he wished his yearling colts would all move as well as this fella. This is one colt to watch in the future. Tasha Harding our equine veterinary nurse from the UK, handling Jolly James to win top prize, Supreme Led Irish Sport Horse. Icarus Silver Breeze, aka 'Murphy' proved that not only was he an eventer, he could turn himself to showing too, and he won the ridden Championship of the day, won both his ridden class and ridden hunter on the flat, and won best presented. Well done to Rachael Feely who rode him and prepared him for us, you did a wonderful job! Murphy's sire is Baltydaniel Breeze RID, and dam Icarus Cordelia. He's currently 5yo and his main job is as an eventer. Icarus Ryan, Icarus Silver Lily, Icarus Balty George all stud bred horses also all had a fantastic day at the show. Farpoint Erin RID (GB & Aus) imp UK, with her foal Icarus Balty George, won her broodmare class and George was 3rd in the foal, weanling and yearling class. Big day for a young foal! After putting a picture on Facebook of a bay yearling sired by our own Icarus Frosty and out of Icarus Eilish (purebred mare) and indicating he was possibly for sale, he was sold within a couple of days. And sold to a returning client that has had a Frosty youngster before. 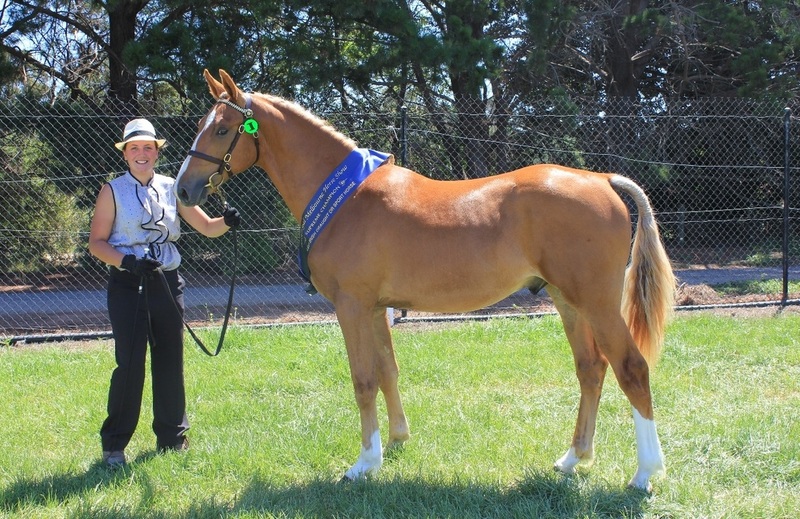 This handsome little gelding will be great fun for new owner Karen Catto of Avoca, VIC. Karen has already named him 'Ray' and we think it will stick! Karen bought Frosty's first foal (Icarus Oliver, out of Icarus Cordelia) as rising 2yo from our paddock, and proceeded to break him in herself, and educate him to Preliminary/Grade 2 eventing by the time he was a 5yo. So we are expecting great things from Karen and Ray. Nicky Paxton from west of Ballarat now has Icarus Oliver and is competing in Pre Novice on him. 'Ray' pictured above right, and right, on the day he left Icarus Park to his new home in country Victoria, with Karen Catto. The day was a fabulous success with 70 or so people in attendance with guests kept busy from 10am to 4pm with equine veterinary topics and talks, the stud’s stallion display, a youngstock display and a ridden dressage and showjumping display. Initially guests were treated to tea, coffee and cake in the stables breezeway where they could view the equine veterinary oriented displays of information, including especially important information regarding plasma administration in newly born foals and the new product Equiplas E for prevention of endotoxaemia and Equiplas R for the prevention of Rhodococcus Equi especially in foals. A display showing the Equine Veterinary Dentists (EVDs) at work via video link outlining the importance of veterinary dental care was well received by guests. Further displays outlined worming programmes and provided information on ulcer treatment in the competition horse. Dr Miesja Reynolds BVSc outlined conformation faults in adults and in foals and how they can be managed in her power point presentation titled ‘Conformation in Irish Draught and Sport Horses.’ After her talk an Irish Sport horse was bought into the barn for conformation assessment which was interactive with the audience and well appreciated. Jenny Muir, on the inspection panel for the Irish Draught and Sport Horse Society, added comments also about breeding and conformation. Dr Olivia Nugent BVSc(Hons) spoke in detail on 'Breeding your mare, from conception to foaling.’ Her talk was detailed and concise and appealed to both the novice horse breeders and experienced horse breeders in the audience. After the two equine veterinary talks, the stud’s stallions were paraded on the front lawn. Firstly the stud’s purebred stallion from Ireland, Baltydaniel Breeze RID was bought from his stable. He looked to enjoy the attention and loud speaker, and gave a display that had the audience gasping in amazement at his light and free movement, immediately prompting many questions about his size, substance and impeccable paces, including his elevated powerful in hand trot. After Balty, the stud’s impressive flashy liver chestnut homebred Irish Sport Horse stallion, Icarus Frosty was paraded. Impeccably behaved and showing off, Frosty also provided a display loved by the visitors. Many of the audience had seen Frosty competing over the past 5 years in eventing, and were saddened to hear he has been retired from competition to stud duties. Immediately after the stallion display, visitors were able to see the progeny of both the stallions. Progeny included the following ridden horses – 5yo purebred RID mare (sire Baltydaniel Breeze RID), Icarus Silver Lily ridden by Alexandra Morgan, 5yo 7/8 Irish Sport Horse gelding, (sire Baltydaniel Breeze RID), Icarus Silver Breeze, ridden by Rachael Feely, 7yo Icarus Ryan 5/8 Irish Sport Horse gelding (sire Icarus Frosty) ridden by Tasha Harding and Icarus Baltypatrick, purebred 4yo gelding (sire Baltydaniel Breeze RID), just backed and riding out, also ridden by Tasha Harding. 2 yearling fillies were shown by owner Leanne Showler, both by the same sire, Icarus Frosty, but both out of very different mares. One larger boned bay filly, Zana out of a studbook mare by Coosheen Liam RID, and one lighter boned filly out of a thoroughbred mare, these fillies were the crux of another interesting breeding discussion regarding bone and type in the Irish Sport Horse. Both fillies were presented fabulously and the Stud wishes to thank Leanne for bringing them along, a very good advertisement of the stock being produced. The ridden horses were ridden together on the flat, and jumped over showjumps. Icarus Silver Breeze showed the style and scope that has been winning him ribbons in open EA eventing in his first season as a rising 5yo, progressing from Introductory to Preliminary with Rachael Feely who is having a ball campaigning him. Icarus Ryan and Icarus Silver Lily showed lovely paces and jumping ability and the ‘easiness’ of the breed. Icarus Baltypatrick having only recently been backed was extremely laid back in the company of other ridden horses cantering and galloping about him, he showed his true purebred Irish Draught brain. Lunch was served after the progeny display and ridden horses, and James Almond gave a very interesting powerpoint presentation on equine sustainable land management practices, in particular ‘Soils and Pastures with an Equine Focus.’ James is an Agronomist and has a Bachelor of Agriculture and Land Management. His talk included valuable information about the elements needed for optimum pasture growth. The rest of the afternoon was taken up by a casual paddock walk to see the young stock and ask questions. Written by the team at Icarus Park Stud, and the Lancefield Equine Clinic. I would like to thank the following people, Jackie and Chris Burns for being techno saavy and making sure the eletronics worked including the equine scales, Leanne and Mandy Showler for presenting two lovely yearlings, Alexandra Morgan for riding Lily very well, Rachael Feely for bringing Murphy a long way then jumping the moon on him, Dr Olivia Nugent for being on call and a great equine veterinarian, Tasha Harding for being the best vet nurse we have ever had, Sophia Reynolds for organising the lunch menu, Becky Lingard for giving us Icarus Ryan to campaign and giving up her whole day to help up, Zoe Maddocks for looking after Ruby and James Almond the ever supportive partner. Thank you so much guys you all contributed to a great day! Cheers Miesja Reynolds. If anyone who was in attendance on the day has any pictures they would like to share on our website that would be greatly appreciated. Icarus Park Stud, will be holding a Stud Open Day on Saturday 4 October 2014. Our last Open Day was in 2011, now 3 years later we are having another. There have been a lot of changes at the stud since then; a further developed breeding programme involving our purebred Irish Draughts with 2 new purebred mares, one imported from the UK expecting her foal by Baltydaniel Breeze in September. And developments in the stud’s competition Irish Sport Horse team. We will be showcasing high quality stock sired by our stallions on the day. All visitors welcome. Breeding season 2013 has been very busy for us this year, with lots of client mares foaled down as well as our own. Below, our last client mare to foal, a lovely Arabian cross mare with a filly foal by Icarus Frosty. Jindy the mare and her foal 'Clover' are doing well. Left - Jindy mothering her newborn foal, Clover in the stables at the Lancefield Equine Clinic. Above - Clover at home at a couple of weeks old, lovely pictures by owner Zoe Phillips of Benloch, VIC. Icarus Maeve's Diamond has been sold to Nyngan, near Dubbo in New South Wales. Maeve goes to a family of eventers who initially became interested in the Irish Sport Horse through seeing Maeve's sire Icarus Frosty compete in eventing. We wish them well with Maeve, who will be backed soon. Below, Maeve on the day she left Icarus Park Stud. Icarus Park Stud sold another lovely young Irish Sport horse sold today. 'Paddy' (Icarus Baltypatrick - sire Baltydaniel Breeze RID, dam Hunziker TB) is a yearling and his new owner Jane really liked his head, compact conformation and laid back manner. He has a career in eventing, dressage and hunting ahead of him. His new owner is thrilled and can't wait for him to mature and be broken to saddle! We wish her well with him. The stud is pleased to have sold quite a few young horses already this year. 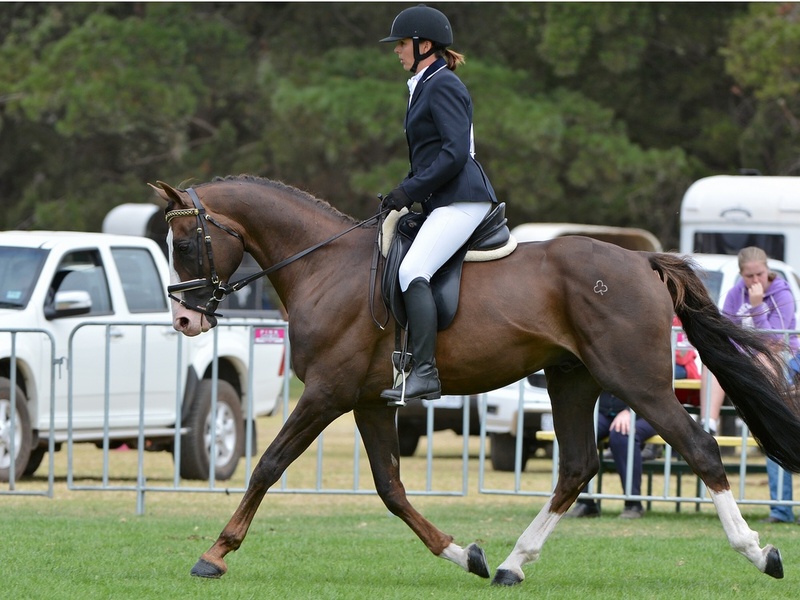 Icarus Tonto went to a new home in Kurrajong NSW in January where he will be broken to saddle , Icarus Bridie went in February for a career in hunting and eventing, Icarus Sarah was sold in April to continue her career in dressage and eventing. And Icarus Baltypatrick was sold in May and is destined for eventing and hunting, and maybe some dressage. Good numbers of Irish horses attended the Melbourne Summer Royal Horse Show, on Australia Day 26 January 2013. 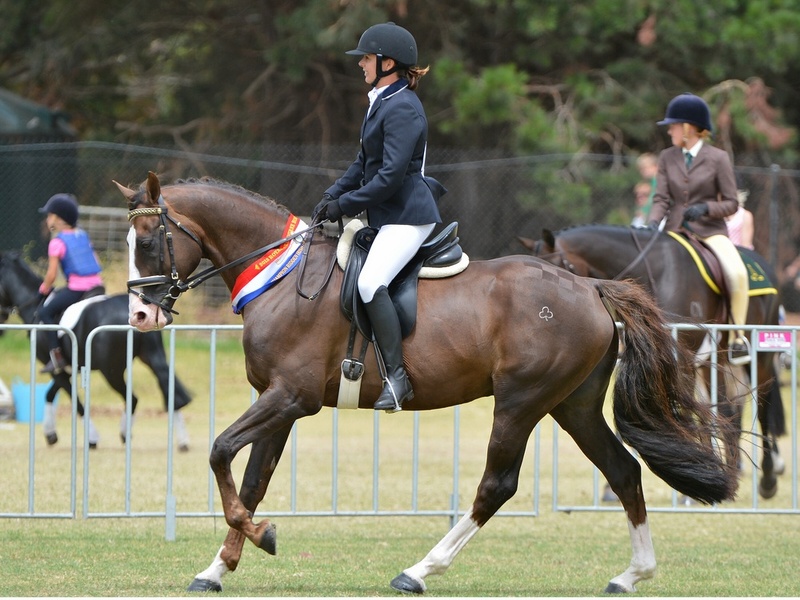 A big congratulations to Hacia Atherton and her big Irish Draught stallion, the Belstone Fox for taking out the Supreme Led, and good on her for travelling so far from NSW to support the classes. Fox looked great. Hacia and Fox won the perpetual trophy donated by Icarus Park Stud. 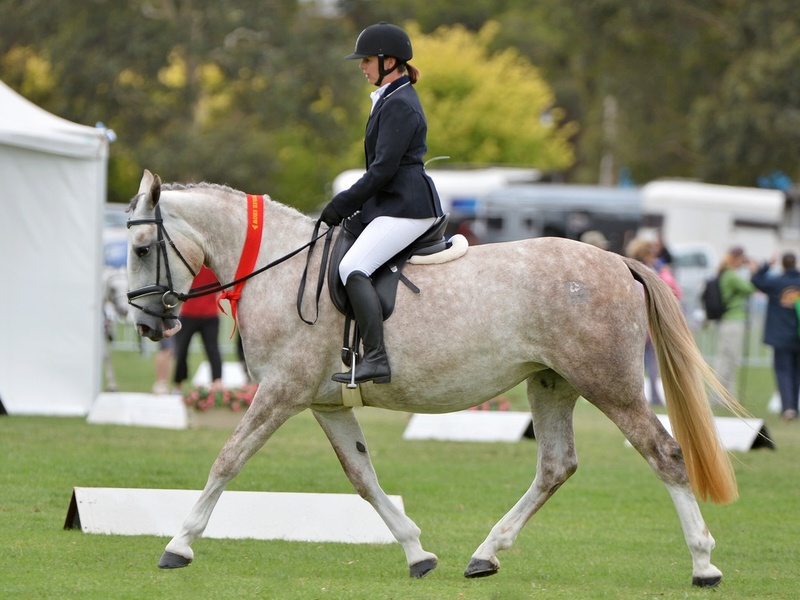 Our stallion, Icarus Frosty won the Champion Ridden Irish Draught or Sport Horse, and was again ridden so well by Nina Lloyd, of Ballahowe, Coghills Creek, Victoria. Pictured above left, Frosty completing his free workout where Nina turned up the heat and performed his 1* eventing dressage moves! Frosty and Nina, pictured left, after winning the Ridden Championship. Frosty now after completing his stud duties for the season will have a little holiday, then he will be back into work for the 2013 eventing season and ready to tackle some 2* eventing tracks. Lily for short, our young homebred star, only 3 years old, broken in a few months ago, sire our Baltydaniel Breeze RID, and out of our imported mare Appledark Fingers Crossed RID. It was Lily’s first time out under saddle, she showed her lovely laid back temperament, and performed so softly and attently. Dressage and jumping with the stars here she comes! Thank you Nina Lloyd for riding her so well, even though it was the first time you had ridden her since you and Yona Lloyd broke her in!! Another purebred Irish Draught filly born at Icarus Park Stud on the 6 December 2012. Phoebe (Appledark Fingers Crossed RID Imp UK) produced a bay filly by The Belstone Fox RID. We believe this is Fox's first purebred filly in Australia, congrats Fox and Phoebe! This is our third purebred filly of the season. Hunziker produced a tall leggy colt, both mum and son are well. This one looks like an eventer already! He is for sale. Equitana Irish Stallion Service Winner! ***Enter the draw to WIN a free service to one of our three stallions! Bring your Horse Deals token to to the Icarus Park Stud stand to enter. Conditions apply. Frosty placed 4th and 5th in the Preliminary, and 5th in the Novice tests at Ballarat. Great to see an eventer doing dressage only! Thanks to Nina Lloyd his 'dressage' rider. Nina and Yona Lloyd will be at Equitana in the Breed Village with Icarus Frosty, and Yona will be riding Frosty in the displays. EQUITANA - we will be there in the Breed Village representing the Irish horse! 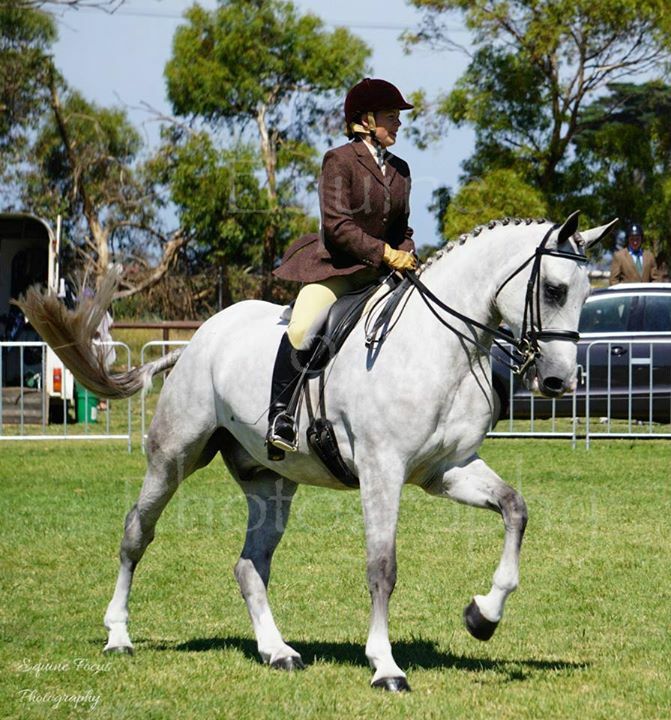 Icarus Park Stud will be on display at Equitana, 15 - 18 November 2012, at the Royal Melbourne Showgrounds. We will be bringing our three Irish stallions, Baltydaniel Breeze RID, Icarus Frosty ISH and Blandings Beamish, Class 1 Connemara. All three stallions will be involved in, and under saddle in the Irish Draught, Irish Sport Horse and Connemara breed displays each day. We welcome visitors to come and visit us in the breed village and meet our team and our wonderful Irish stallions. Yona and Nina Lloyd of Ballahowe will be attending all 4 days, and Yona will be riding our 1* eventing stallion, Icarus Frosty in the eventing displays. Icarus Frosty places 2nd at the Avenel Horse Trials on 23/9/12. Seems every time Frosty goes out to compete he improves. Well done Frosty and again a very well done to his rider Yona Lloyd, at Ballahowe. 14/9/12 Eilish has delivered a gorgeous bay purebred filly named 'Freya.' 4 socks, white face and delightful. 18/9/12 Poppy has delivered a cute bay filly, both well. Icarus Frosty does well again! Well done Frosty and his rider Yona Lloyd! Great results for Irish Sport horses at the London Olympics!!! O’Connor (USA)). This is twice the number of Irish Sport Horses who finished in the top ten in Eventing at the Beijing Olympic Games in 2008.